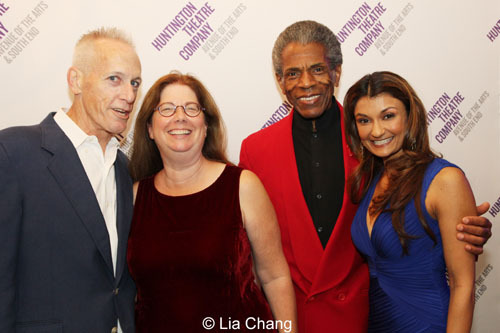 It’s been quite a jazzy year for Two-time Tony Award nominee and Broadway legend André De Shields, who completed his run as King Louie and Akela in the world premiere of Mary Zimmerman’s adaptation of Rudyard Kipling’s THE JUNGLE BOOK, a co-production of Chicago’s Goodman Theatre and Boston’s Huntington Theatre on October 20, 2013. For his critically-acclaimed role as King Louie, André has been nominated for a Jeff Award for Outstanding Achievement in the category of Actor in a Supporting Role – Musical, and recently garnered a 2013 BTAA for Best Featured Actor in a Play (Musical or Revue) at The 19th Annual Black Theater Alliance Awards, which honor excellence in African American theater and dance productions in the Chicago area. On Monday, November 4, 2013, I’m off to Chicago with André, The Jungle Book‘s musicians Ronnie Malley and Neel Murgai to attend the 45th Annual Jeff Equity Awards ceremony, held at Drury Lane Oakbrook, 100 Drury Lane, Oakbrook Terrace, Il, where they’ll kick off the evening’s festivities with “I Wanna to Be Like You” from The Jungle Book. The Jungle Book also received 3 other nominations including Outstanding Achievement in the category of Production-Musical-Large, Musical Direction (Doug Peck, also nominated for James Joyce’s ”The Dead” ), and costumes (Mara Blumenfeld, also nominated for Sunday in the Park with George). Congrats also to The Jungle Book‘s director Mary Zimmerman, who has been nominated for her direction of Metamorphoses, and Larry Yando, who played Shere Khan in The Jungle Book, has been nominated for Outstanding Achievement in the category of Actor in a Principal role – Play for A Christmas Carol. The Jeff Awards honor excellence in professional theatre produced within the immediate Chicago area. 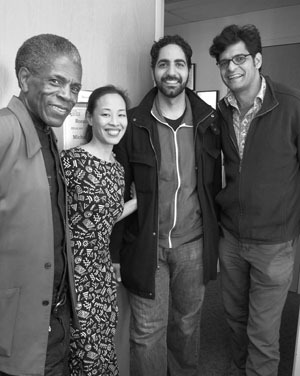 During the 2012-13 season, Jeff Awards judges attended opening nights of 143 Equity productions offered by 51 producing organizations. From these openings, 109 productions were “Jeff Recommended” and eligible for award nominations, resulting in 166 nominations in 36 categories. The award evening is black tie optional and the public is invited to attend. Pre-show appetizers and cash bar will be offered from 6 to 7:30 p.m., followed by the Awards Ceremony, directed by Michael Weber and produced by Equity Chair Merril Prager, and capped by a buffet reception immediately following. Musical numbers featuring cast members from other nominated musicals and video segments from nominated plays highlight the Jeff Awards ceremony. A Clown Car Named Desire – The Second City e.t.c. Ryan Bernier – A Clown Car Named Desire – The Second City e.t.c. Mike Kosinski – A Clown Car Named Desire – The Second City e.t.c. Advance tickets are no longer available, but can be purchased at the door. Regular tickets are $75. $55 tickets are available for members of Actors’ Equity Association, United Scenic Artists, Stage Directors and Choreographers Society, Stage Managers’ Association, The Dramatists Guild of America, and American Federation of Musicians). Groups of 10 or more also can purchase tickets at $55. Members of nominated ensembles may purchase tickets at a discounted rate of $45 (guests at regular prices). Note: $2.50 per ticket is added to credit card purchases. Tickets may be purchased at the door for an additional $10 fee per ticket. For more information, contact Jeff Equity Chair Merril Prager at equitywing@jeffawards.org. 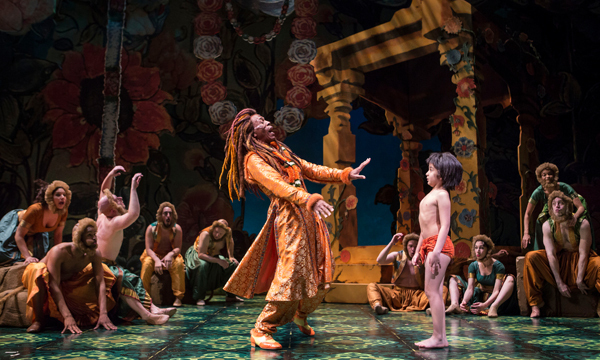 What the critics are saying about André De Shields as King Louie in The Jungle Book. 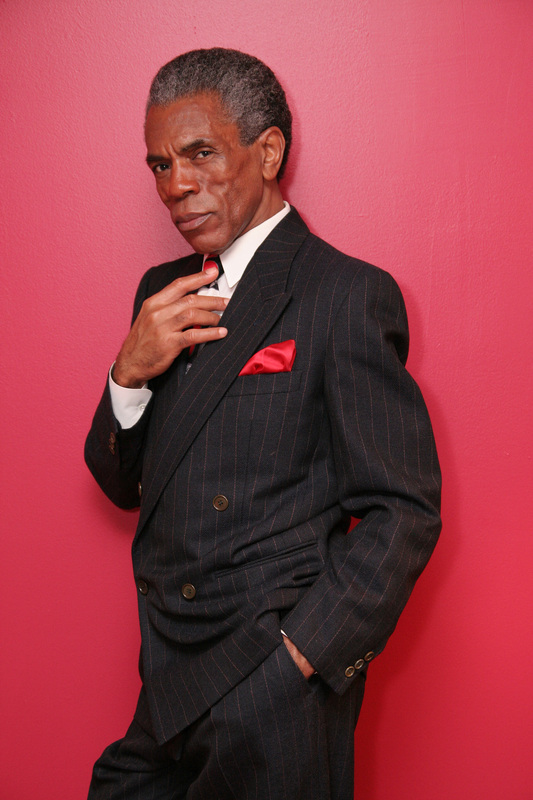 In a career spanning more than forty years, André De Shields has distinguished himself as an unparalleled actor, director, choreographer and educator. He is best known for his show stopping performances in the original Broadway productions of four legendary musicals: THE FULL MONTY, for which he received Tony, Drama Desk and Astaire Award nominations, in addition to both the Outer Critics Circle and Drama League Awards; PLAY ON! (Tony nomination), AIN’T MISBEHAVIN’ (Emmy Award) and THE WIZ (title role). De Shields is the recipient of the 2012 Fox Foundation Fellowship/Distinguished Achievement, 2009 National Black Theatre Festival Living Legend Award, and the 2007 Village Voice OBIE Award for Sustained Excellence of Performance. As an educator, Mr. De Shields has served as Visiting Artist/Lecturer, SUNY-Buffalo State College; Harold ClurmanVisiting Professor, CUNY-Hunter College; Adjunct Professor, Gallatin School of Individualized Study, NYU; Adjunct Professor, School of Education, Health, Nursing and Arts Professions (SEHNAP), NYU; Distinguished Visiting Professor, Meadows School of the Arts, Southern Methodist University (SMU), Dallas, TX; Algur H. Meadows Distinguished Visiting Professor (SMU); DR. Martin Luther King Jr.-Rosa Parks-Cesar Chavez Distinguished Visiting Professor, University of Michigan-Ann Arbor; Distinguished Visiting Professor, Morehouse College, Atlanta, GA, among others. He has taught a wide variety of courses ranging from Shakespeare to Masterpieces of Western Literature to Musical Theatre and an interdisciplinary arts workshop in Extreme Performance: From Ancient Africa to Postmodern America. 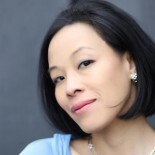 This entry was posted on November 2, 2013 by Lia Chang in African American Artists, Awards, Entertainment, Events, Theater, Travel and tagged 16th Street Theater and Teatro Vista, A Christmas Carol, A Red Orchid Theatre, American Blues Theater, American Theater Company, “33 Variations”, “A Class Act”, “A Clown Car Named Desire”, “A Grand Night for Singing”, “Barnum”, “Collected Stories”, “columbinus”, “Completeness”, “Edward Albee’s Seascape”, “Empanada for a Dream”, “Good People”, “Head of Passes”, “Henry VIII”, “James Joyce’s ‘The Dead’ ”, “Lady Day at Emerson’s Bar & Grill”, “Let Them Eat Chaos”, “Metamorphoses”, “Mojada”, “My One and Only”, “Oliver!”, “Othello: The Remix”, “Pal Joey”, “Proof”, “Simpatico” “Singin’ in the Rain”, “Someone Who’ll Watch Over Me”, “The Iron Stag King: Part One”, “The Liar”, “The Motherf**ker with the Hat”, “The Opponent”, “The School for Lies”, “The Second City Guide to the Opera”, “The Whipping Man”, “Wasteland”, “Woody Sez: The Life & Music of Woody Guthrie”, Backstage Pass with Lia Chang, Blood and Gifts, Chicago, Chicago Shakespeare Theater, Court Theater, Cymbeline, David Rice, Doug Peck, Dreamgirls, Drury Lane Productions, First Folio Theatre, Goodman theatre, In the Company of Men, Jeff Awards, Jesse Klug, Jitney, Julius Caesar, Lia Chang, Lindsay Jones, Lookingglass Theatre Company, Mara Blumenfeld, Marriott Theatre, Matthew Crowle, Mercury Theater Chicago, Northlight Theatre, Oak Park Festival Theatre, Philip S. Rosenberg, Porchlight Music Theatre, Profiles Theatre, Remy Bumppo Theatre Company, Rivendell Theatre Ensemble, South Pacific, Steppenwolf Theatre Company, Sunday in the Park with George, Susie McMonagle, The House Theatre of Chicago, The Jungle Book, The Second City, The Second City e.t.c., Theater Wit, Theatre at the Center, TimeLine Theatre Company, Victory Gardens Theater, Walt Spangler, Writers’ Theatre.